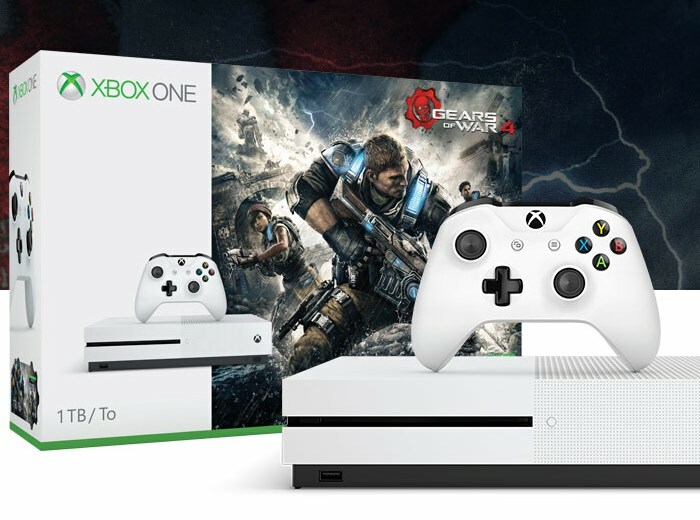 Halo Fans looking to upgrade their older Xbox One console to a new white Xbox One S, maybe interested to know that the Xbox One S Halo Collection Bundle first unveiled back in July 2016 is now available to purchase from Microsoft and selected retailers. The Xbox One S Halo Collection Bundle is available with either 500 GB or 1 TB of storage and is available in the U.S., Canada, Australia and New Zealand for $299 USD and $349 USD, respectively. The new Xbox One S Halo Collection Bundle is the ideal way to dive into the world of Xbox One and the iconic Halo universe. The Xbox One S Halo Collection Bundle comes with a 500GB or 1TB Xbox One S, matching Xbox Wireless Controller and five games between Halo 5: Guardians and Halo: The Master Chief Collection. It’s perfect for those looking to relive the Master Chief’s epic journey or battle on the biggest maps in franchise history in Warzone multiplayer.